If you're a car enthusiast, then you've heard plenty about Jeep and the vehicles that they produce. You'll also know about the Jeep Wrangler and the storied history it holds as being a top off-roading SUV, and a stylish one at that. All of these are reasons why you shouldn't be surprised to hear that the 2018 Jeep Wrangler JL, a completely redesigned Wrangler, is just as impressive as it was in previous years, and manages to add more features while not taking away the things you love most. 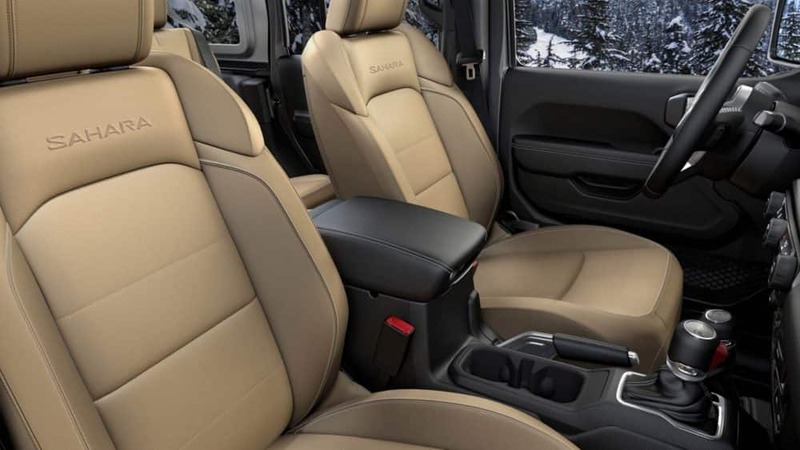 The Wrangler JL gives you more interior space than ever and offers modern safety features that make sure that while you're enjoying your off-roading fun, that you remain safe. 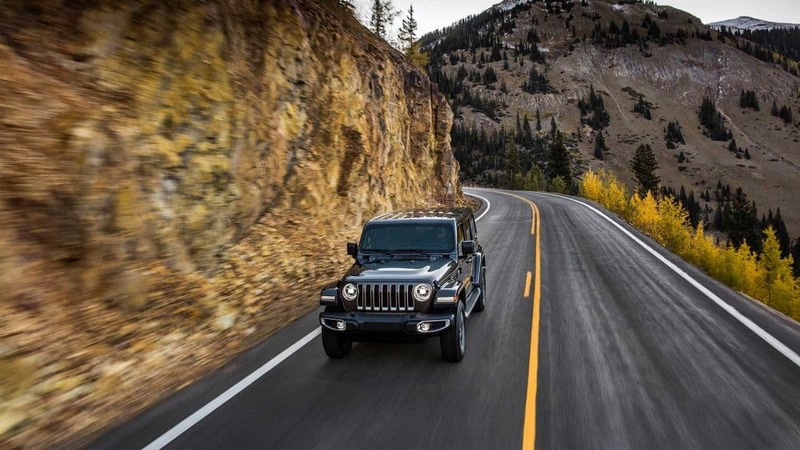 There's no need to worry about power with the Wrangler JL either, as you'll find a brand new engine option and a now optional eight-speed automatic transmission. What safety features come with the Wrangler JL? There are many safety features included with this impressive SUV. One of these safety systems is Advanced Brake Assist. The system applies the most braking power available in emergency type situations. You'll also find Hydraulic Assist Brake Booster, which uses pressure from the hydraulics to give you a consistent braking force no matter the driving situation. Another important safety system offered is the ParkView rear back-up camera, which displays video on the Uconnect system to show what is behind your vehicle whenever you're trying to reverse. This camera is perfect for objects that cannot be seen by the side mirrors or the rearview mirror. There are four trim options available with the 2018 Wrangler JL. These trims include Sport, Sport S, Sahara, and Rubicon. 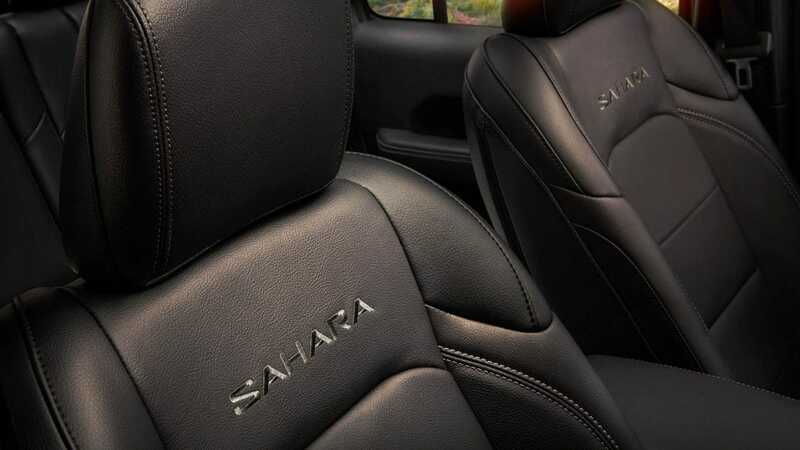 The Sahara is only available with the four-door Unlimited configuration, while the rest of the trims can be found in both the Unlimited and two-door configuration. The base model, called Sport, comes with standard features like a height-adjustable driver's seat, skid plates and tow hooks, a fold-down windshield, cruise control, cloth upholstery, 17-inch steel wheels, removable full metal doors with crank windows, and a tilt-and-telescoping steering wheel. You'll also find many entertainment features in the Sport, including an auxiliary audio jack, a 5-inch Uconnect touchscreen display, an eight-speaker sound system, Bluetooth, a rearview camera, and a USB port. The Sport S trim is a step up from the Sport and offers power windows and locks, automatic headlights, sun visors with vanity mirrors, 17-inch alloy wheels, heated power mirrors, air conditioning, and a leather-wrapped steering wheel. The highest option is the Wrangler Rubicon. 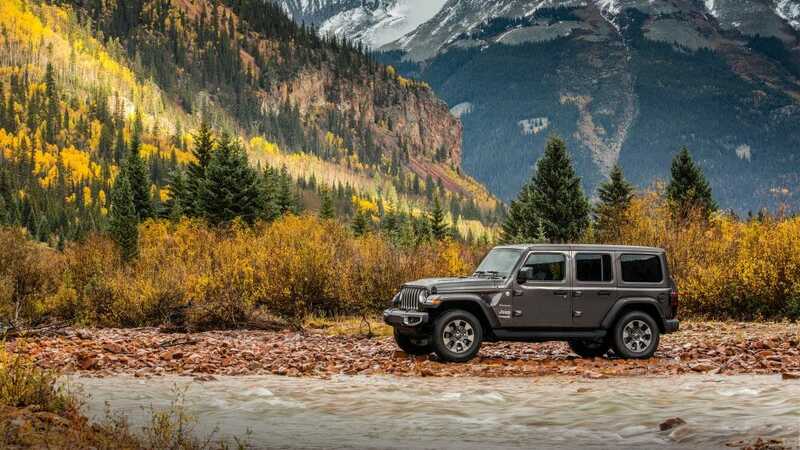 The Rubicon comes with many off-roading features, like special off-roading tires, shorter 4.10 axle gearing, a heavy-duty Dana M210 front axle and M220 rear axle, and an electronically disconnecting front roll bar. What engines are available with the Wrangler JL? When it comes to power, Jeep has always placed the best engines under the hoods of their SUVs. None of that changes in 2018 with the Wrangler JL, especially with the addition of the 2.0-liter turbocharged inline-4 that can create 295 lb-ft of torque and 268 horsepower. Later in the 2019 model year, you'll also be able to choose a diesel engine option! The other engine is the reliable 3.6-liter V6, producing 260 lb-ft of torque and 285 horsepower. This engine can work with either a new six-speed manual transmission or an eight-speed automatic transmission. The brand new turbocharged engine works in tandem with the eight-speed automatic option. The Wrangler JL is a reimagining of the historical and legendary Wrangler. This SUV gives you off-roading capabilities with a smooth on-the-road feel. There is no downside to the 2018 Jeep Wrangler! For further information, you can use the form below, or give us a call!